28-Aug-2010 - Entrepreneur and politician (aren’t they all!) 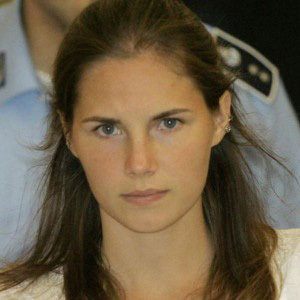 Rocco Girlanda has written a book about the conversations he had with Amanda Knox, the American student who was convicted last December by a judge in Perugia of murder and sexual assault in the 2007 death of her roommate, British student Meredith Kercher. Amanda was sentenced to 26 years in prison. Girlanda, who is also a journalist and a media mogul, is a member of Berlusconi’s party and was elected to Italy’s Chamber of Deputies in 2008. He is also president of the Italy-USA Foundation, an organization that seeks promote the friendship between Italians and Americans. According to news reports, Girlanda kept a diary of his frequent visits with Amanda in her Perugia jail, material that he has now assembled in a book being published in Italy and the U.S. later this fall. "Everything grew from a desire to get to know an American girl, the same age as one of my daughters, who has found herself to be living in the most dramatic experience of her life," Girlanda writes in the book. "I think that after so many months, after so many meetings, I succeeded." Amanda’s appeal is set to begin on Nov. 24. One would hope that the proceeds of the book would go to Amanda to support her appeal. Instead, news reports indicate that the proceeds will benefit Girlanda’s foundation. We’re disappointed!